Temporary imports of personal vehicles are vehicles e.g. a motor vehicle, motorcycle, yacht, sports boat, or fishing vessel, brought into Thailand by residents of another country, usually for a maximum of six months, while remaining registered in its country of origin. Tourists/travelers may import personal vehicles into Thailand without payment of taxes and duties provided that they enter Thailand for a short visit and intend to take the vehicles from Thailand at the conclusion of the visit. To facilitate tax and duty free entry of the personal vehicles, the tourists/travelers are required to place a cash deposit or bank guarantee covering the full amount of liable taxes and duties with Customs. The deposits will be refunded when the vehicles, all fittings and accessories imported with the personal vehicles are exported within the time limits of temporary entry. Prior to importation, importers are required to closely follow Customs’ regulations and conditions on temporary imports of personal vehicles. Customs inspects the vehicles and personal goods, then, returns one copy of the Temporary Import Declaration Form to the importer/agents. Please note that the importer is required to retain the copy of the Temporary Import Declaration Form as a vehicle control form, and returns it to Customs upon exportation. Export Clearance Procedures The temporarily imported vehicles cannot remain in Thailand longer than the time constraints indicated the Re-Export Contract. Once these time limits have been exceeded, the vehicle no longer qualifies for temporary entry and must be exported. All fittings and accessories imported with the personal vehicle must also be exported with that same vehicles. Customs inspects the vehicle and personal goods, then, returns the cash or bank guarantee deposited at the time of importation to the exporter/agent. Breach of Contract: Customs will confiscate the cash or bank guarantee deposited at the time of importation in case where the importer does not export the vehicle from Thailand at the conclusion of the visit within the time limits indicated in the Re-export Contract. Extension of the Temporary Allowance: Customs may extend the time limits to allow the vehicle to remain in Thailand for up to six months of its arrival in Thailand, provided a written request is made in advance. In exceptional circumstances e.g. a broken engine, car accident, etc., the time limits may be extended to more than six months but not exceeding eight months from the date of importation. Guarantee and Security: The importer is able to place a security in either cash or a bank guarantee. However, for temporary imports of motorcycles, the importer is allowed to offer himself as a guarantee if such motorcycles are imported via 3 ports of entry: the Bangkok International Airport Customs Bureau; Bangkok Port Customs Bureau; and Bangkok Customs Bureau. 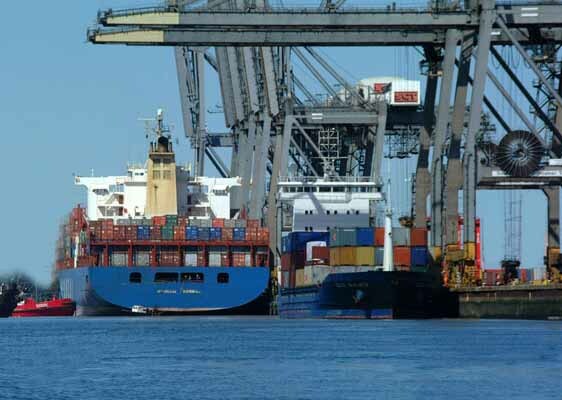 In an exceptional circumstance, Customs may also allow the importer bringing in the vehicles via other ports of entry to offer himself as a guarantee if he is unable to place the deposit in cash or the bank guarantee. The amount of the cash deposit or bank guarantee set up by Customs is determined on the basis of all liable taxes and duties to be paid to Customs. Imposition of Guarantee and Security: The temporarily imported vehicles cannot remain in Thailand longer than the time constraints indicated the Re-Export Contract. Once these time limits have been exceeded, the vehicles no longer qualify for temporary entry and must be exported. When the temporary time limits have been due, or the importer provides a written notice to Customs that he does not wish to export the vehicles temporarily imported, Customs will impose the full amount of liable taxes and duties as indicated in the Re-Export Contract without any reduction.In case where the traveler/tourist temporarily brings motor vehicles or motorcycles into Thailand for a short visit via the border points and is unable take them within the time limits indicated in the Re-Export Contract, provided he does not intend to violate the Contract, a 100-Baht fine per day, but not exceeding1,000 Baht in total, shall be charged from the expiry date of the Contract. In case where the traveler/tourist temporarily brings boats/vessels into Thailand and intends to take them from Thailand at the conclusion of the visit, but is unable take them within the time limits indicated in the Re-Export Contract, provided he does not intend to violate the Contract, a 500-Baht fine per day, but not exceeding 5,000 Baht in total, shall be charged from the expiry date of the Contract. The term "yacht/ sports boat" means any boat used solely for pleasure or sports; but excluding those imported for commercial, military, and scientific research purposes. A master of a yacht/sports boat or fishing vessel from abroad is required to make an arrival and departure reports of such boat or vessel to Customs upon the arrival or departure, as the case may be. Contact For additional information, interested person may contact the Formalities Section, Privilege and Investment Promotion Sub-Division, Import Formalities Division, Bangkok Port Customs Bureau; or Privilege and Investment Promotion Sub-Division, Import Formalities Division, Bangkok International Airport Customs Bureau; and all ports of entry during office hours. 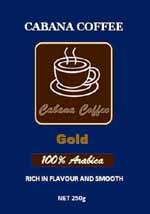 * Seafreight expire monthly, we will update again once you are ready to export. * Car export needs to be de-registered, You can do this at the Thai Transport department in Banglamung or we can do for you. 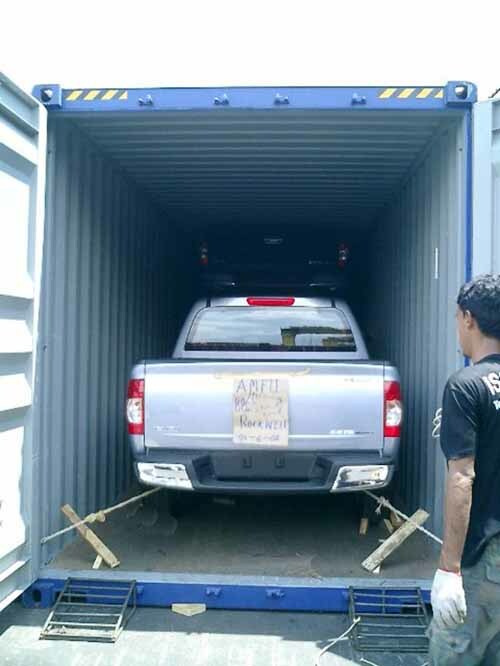 * Car stuffing into container we carry outat Laem Chabang seaport, as we have Office and equipment and tools there. After that /or before we can take the container to load furniture and household at your residence.